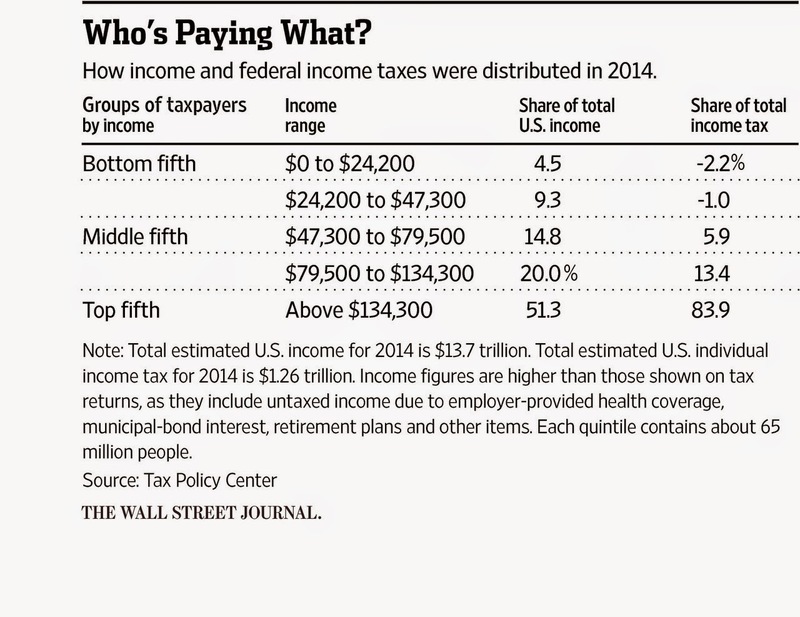 Who pays what in income taxes? With April 15 just around the corner, filers may be curious about where they fit into the system as a whole. Read this eye-opening WSJ article here.